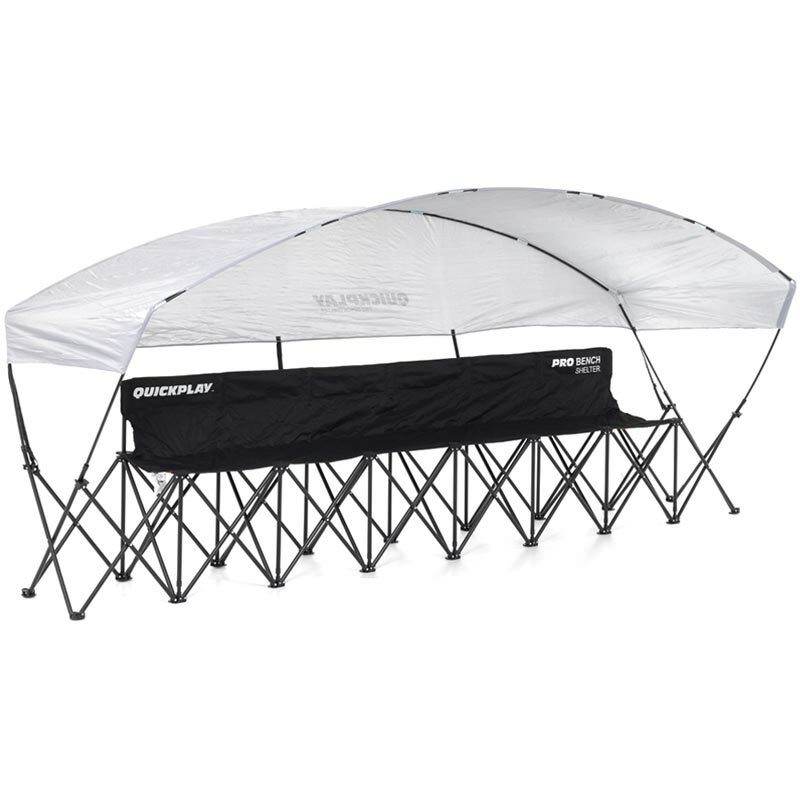 Introducing the Quickplay PRO Folding Bench Shelter - The ONLY instant setup folding bench with weatherproof shelter. 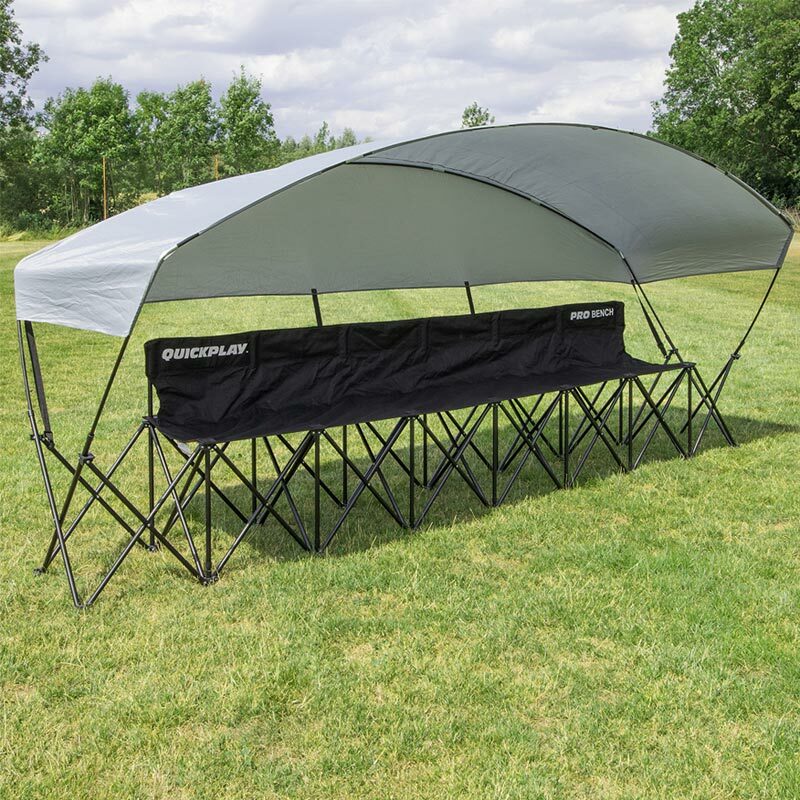 6 seat folding bench - Each seat holds up to 250lb, making the Quickplay PRO Bench Shelter suitable for kids and adults. The shelter canopy is water and windproof and features 50+ UPF coating. 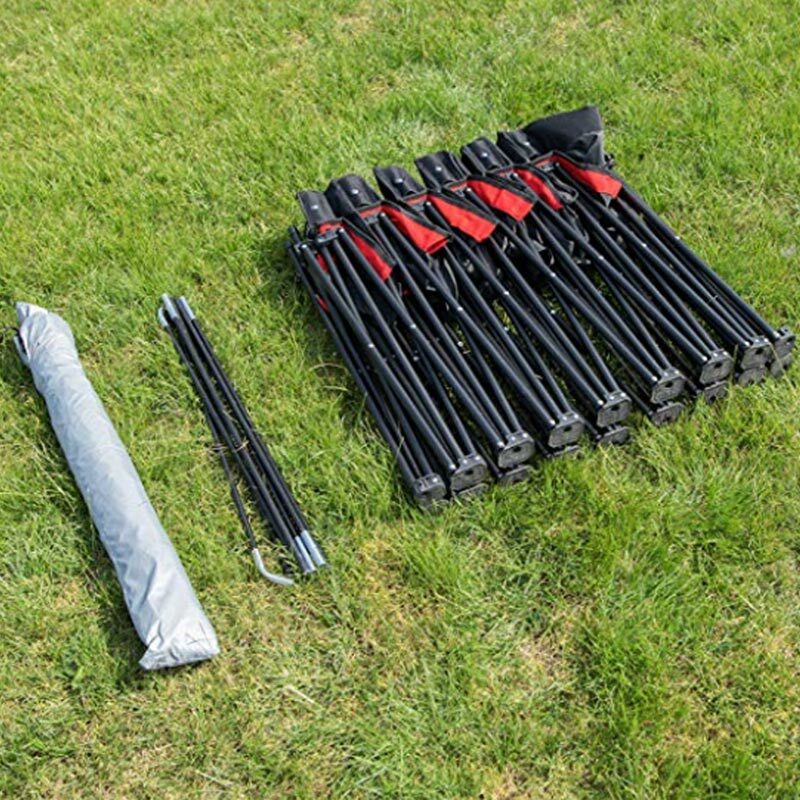 Unique pre-attached pole system allows fast and easy set-up. Ideal portable seating solution for sports teams or tournament spectators. The PRO Bench Shelter comes with its own bag for easy transportation and storage. Bought this for kids football team and they love it, its great quality and very easy to put up. Can be used with or without the shelter. Would recommend. 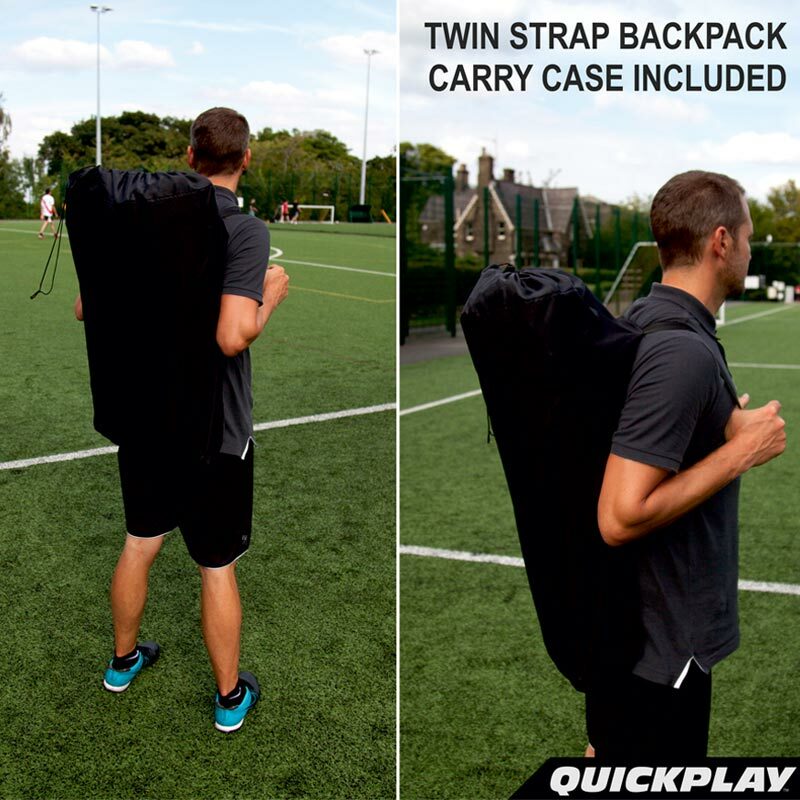 This is pretty cool and the girls love it kept them dry only thing is that it's a bit bulky but once you over come that then their is not a problem i should have it for years to come as it's very sturdy cheers. Bench is very good quality but the canopy less so. Impossible to put up in a slight breeze and need to peg the bench down when everything up to stop it blowing away. The canopy tore on the first use too - quickly replaced by Newitts but haven't tried the replacement yet.